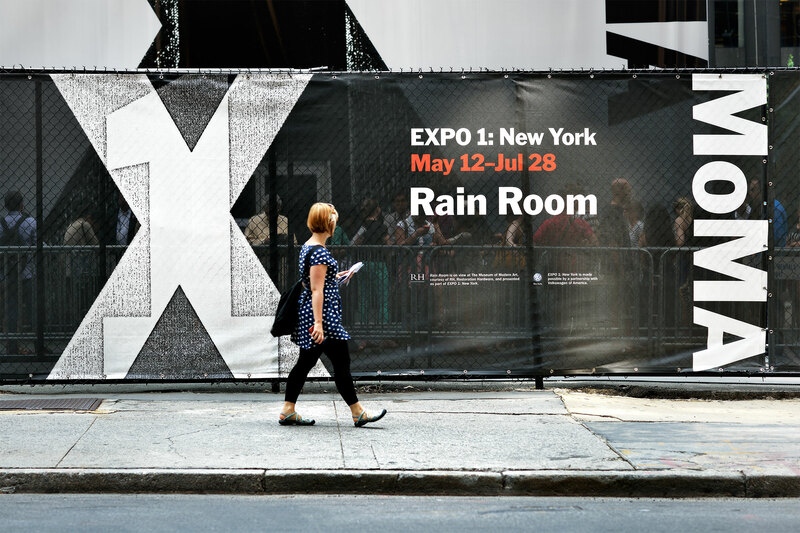 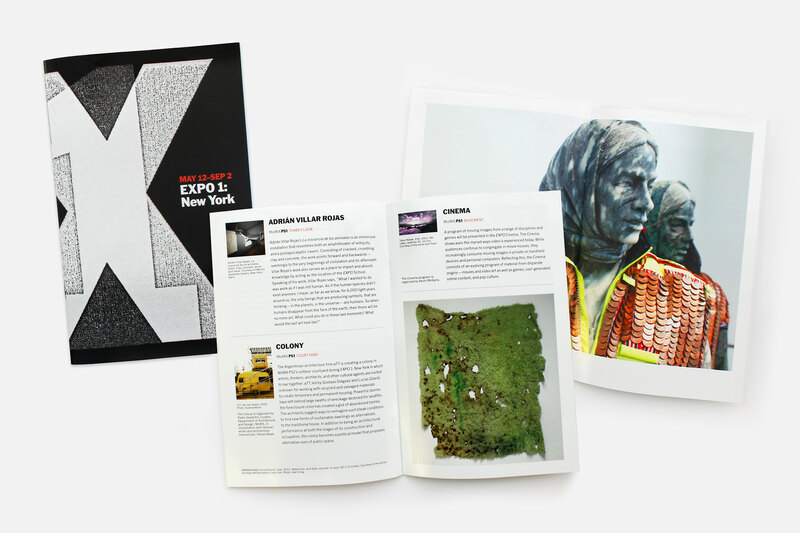 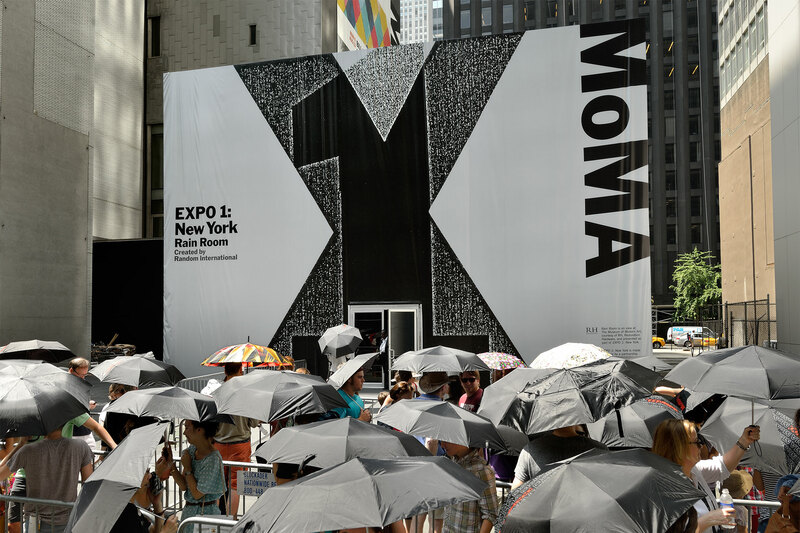 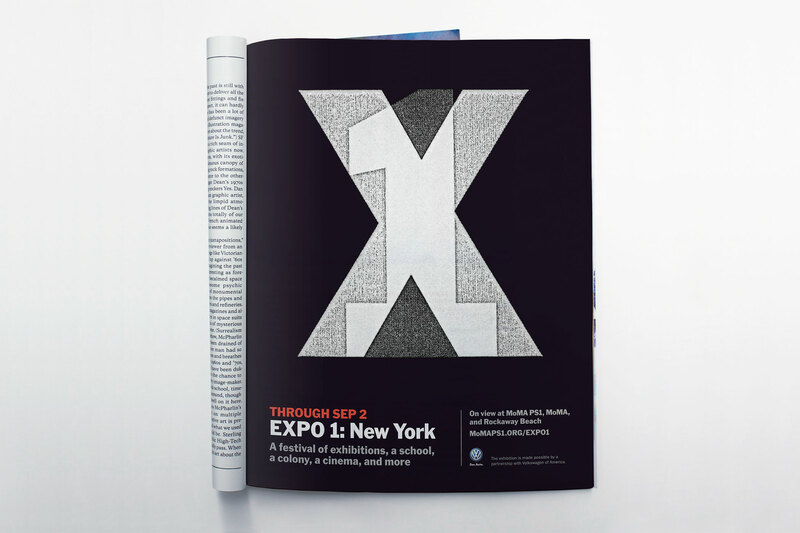 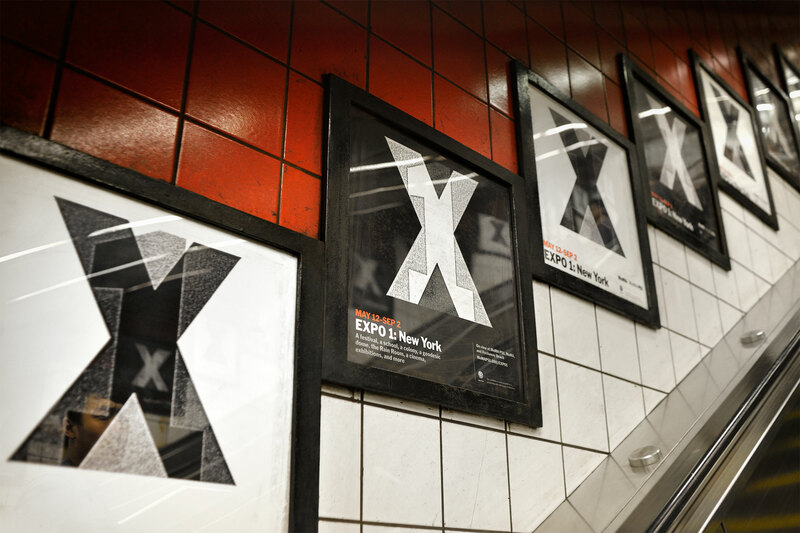 EXPO 1: New York — Tony Lee, Jr.
EXPO 1: New York was an exceptionally odd project. 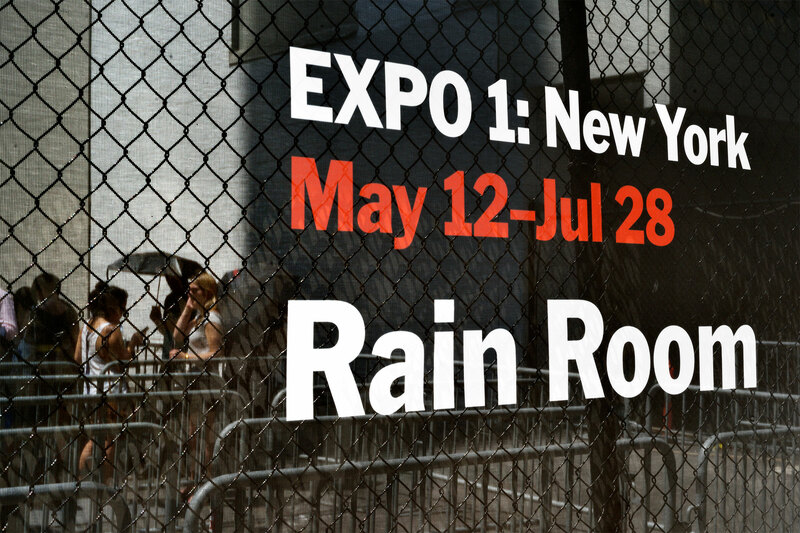 Taking place in 2013 at MoMA, MoMA PS1, and Rockaway Beach, EXPO 1 involved more than fifty artists, twelve different venues (including the Rain Room), and the underlying theme of “dark optimism.” As a kind of “festival” exploring ecology, economy, and social-political instability, EXPO 1 didn't fit into any one category easily. 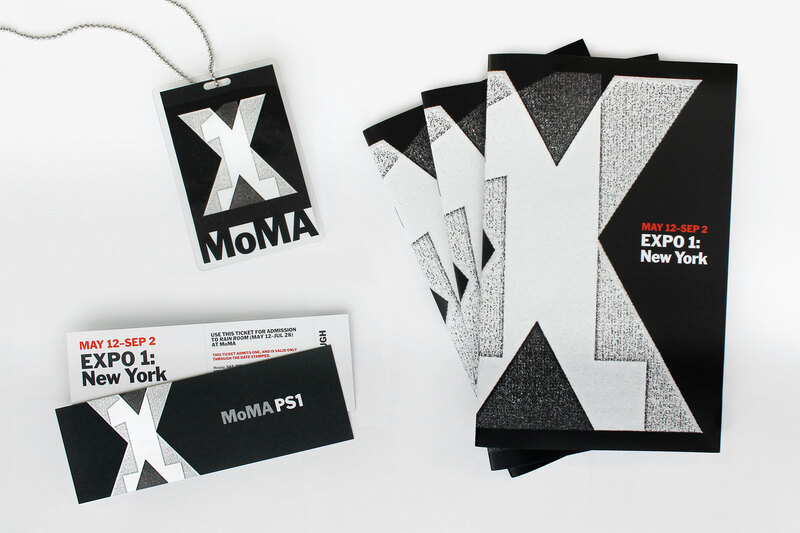 The challenge was to create an identity on a tight timeline that not only unified all these parts, but also set up a branding system for future EXPOs that still fit within MoMA and MoMA PS1’s master brands. 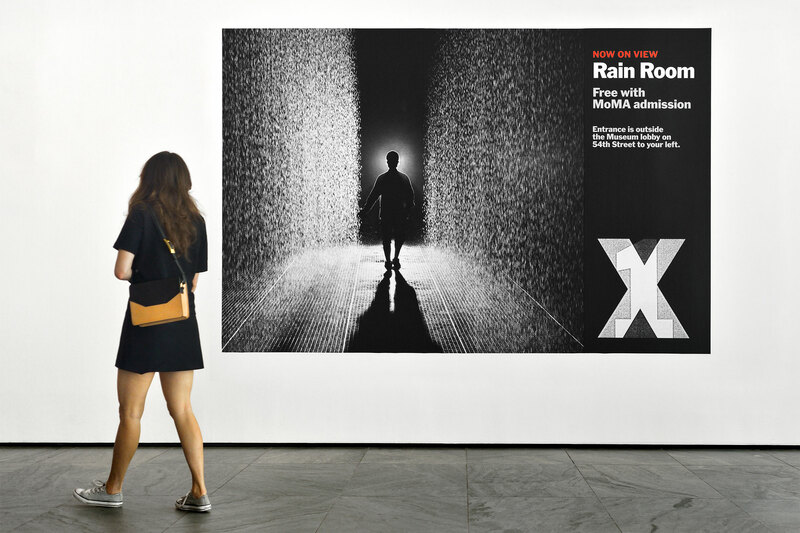 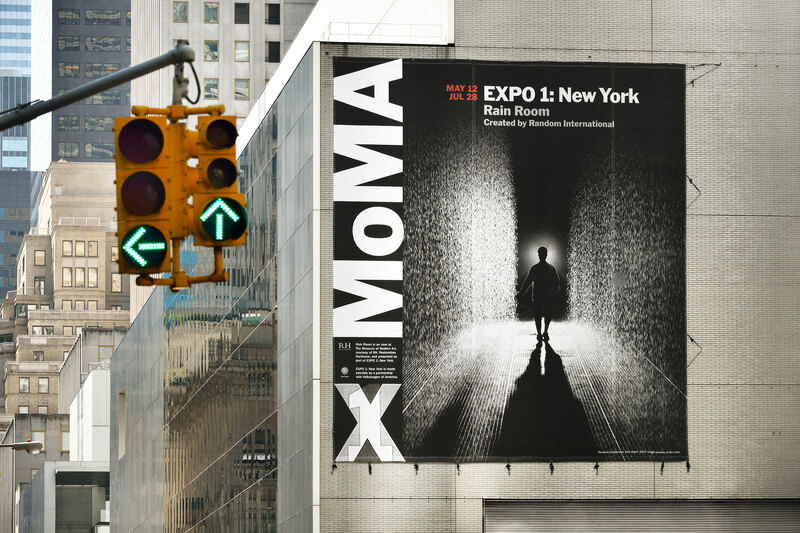 The mark, meant to feel stark and gritty, became the focus of the advertising campaign, as well as the anchor for the corresponding Rain Room campaign and exhibition graphics. 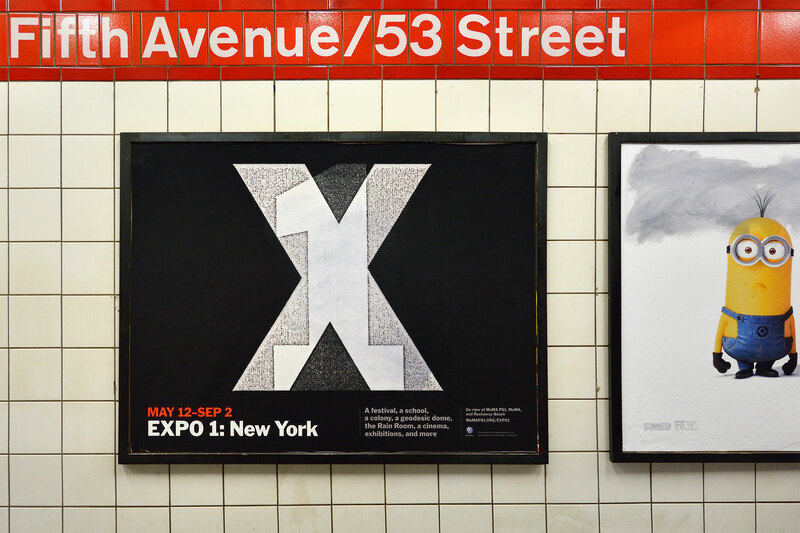 Photos: Martin Seck, Tony Lee, Jr.